2016 Ford Flex – Appearance Package Update! 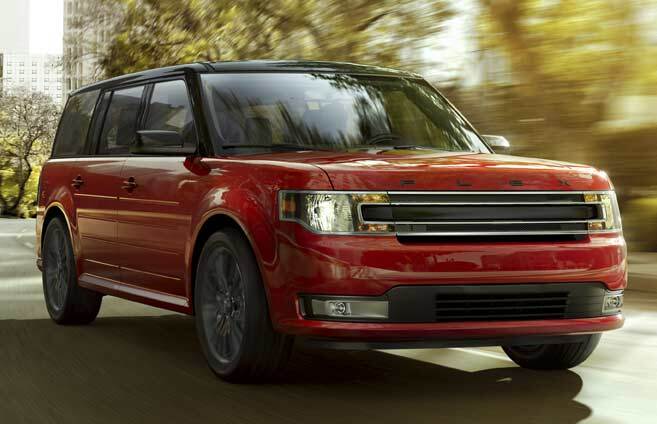 Have you seen the 2016 Ford Flex lately? If not, you’re missing out on a bunch of awesome features! Everyone loves a vehicle that’s fun to drive, spacious and looks good! If that’s what you want, the 2016 Ford Flex is made just for you! The Ford Flex stands out in the utility market because of its distinctive design. It has a generous amount of space for passengers and cargo. The 2016 Ford Flex also offers an updated Appearance Package. This new package features an awesome new wheel design. It makes quite the style statement! 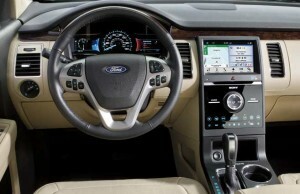 The Ford Flex offers two engine and transmission choices. These promise to deliver confident performance. Did you know that the Flex’s towing capacity also matches many other SUVs? The Flex offers three rows of seating for seven passengers. It offers a combined 146.40 cubic feet of cargo space. You’ll really want to check out the 2016 Ford Flex again if it’s been a while. You’ll appreciate the safety features and technology. The performance and capability are second to none. Give us a call today to schedule your personal VIP test drive experience. Our expert sales staff can answer all of your questions. Let Beach Automotive get you rolling in your new Ford Flex today! We’re waiting for you! 0 comment(s) so far on 2016 Ford Flex – Appearance Package Update!